Having a hygienic surface to work on is an essential requirement for organisations that produce or handle food and other high care products. Supertuff stainless steel tables provide premium preparation areas that are easy to clean, resistant to scratching and incredibly durable. Made to order, these tables can be supplied in any size and specification to cater for your requirements. The write up desk is a small sloped table that offers a convenient writing surface for workers in high care environments. The ledge at the bottom catches papers and folders but is also easy to clean, preventing the buildup of bacteria. The table also comes with a height adjustable foot to adjust for uneven surfaces. 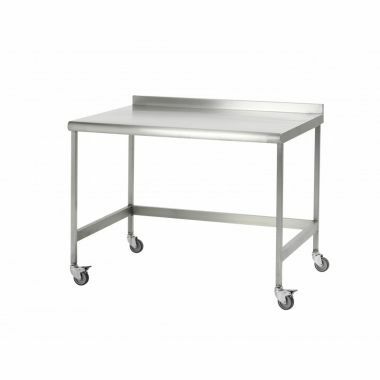 The SST table is a more heavy duty workbench that uses 304 grade stainless steel. 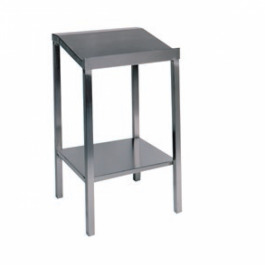 These tables are popularly used for preparing food on, providing a large working surface that is easy to keep clean and resistant to knife scratches. For added manoeuvrability, these desks can be fitted with swivel castors that can be locked down to create a stable platform.